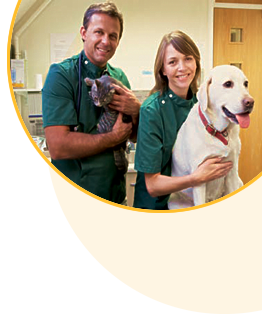 Your practice can join The Pet Professionals Club and be part of the UK's fastest-growing pet community with your practice featured in our online Vet Practice Directory where pet owners can find you. You can join for free or, for a small monthly fee, you can enjoy an enhanced listing in our Vet Practice Directory*. Compare our membership options. You can upgrade to a Gold membership at any time to take advantage of the extra features. You can also rest in the knowledge that 10% of your membership fees are donated to animal charities. Gold Club members receive an enhanced directory listing including logo, website link, opening hours and description of services. Gold Club members have free access to all online training courses. Standard members can access courses on a pay-per-course basis. Once you are a Club Member, recommend your contacts to join and for every two contacts who each join as a Gold member, you will receive a £10 voucher to spend in well-known high street stores (terms and conditions apply).